April 2, 2019 – Following Intel’s launch of the new 2nd Generation Intel Xeon Scalable processor and Intel Optane DC Persistent Memory, Inspur’s M5 series of servers has undergone the processor upgrade to the next generation, passed validation, and entered mass production to be batch-shipped to customers. The 2nd generation Intel Xeon Scalable processor features a greater number of integrated cores and supports Intel Optane DC persistent memory, increasing the maximum memory capacity of a single CPU from 1.5TB to 4.5TB. This will enable mission critical computing applications such as databases, data warehouses, and other memory-intensive applications like big data, to see significant performance gains. Intel Deep Learning Boost technology has been added to the device which, when combined with ongoing software and model optimizations, increases AI/machine learning performance up to 14 times higher than the first-generation Intel Xeon Scalable processor at its launch in July 2017. According to Chen Yanling, deputy general manager of Inspur’s server product line department, the Inspur M5 series’ highly application-optimized designs can leverage the new CPU’s features to generate maximum workload efficiency and performance for the customer. Inspur’s M5 series comprises of four categories: mission critical computing, general computing, converged architecture, and application optimization. Each category’s computing, storage, and I/O resources are optimized for specific application scenarios to maximize the processor’s various performance advantages, by providing internal and external synchronized I/O, storage and compute resource security, and other benefits. For instance, the dual-socket general-purpose NF5280M5 server achieves the maximum scalability of the Purley platform. It is designed for different applications through various module combinations. There are 24 memory slots per processor, 12 of which can support Intel Optane DC persistent memory with capacities up to 512 GB per module. Upgrading to the 2nd Generation Intel Xeon Scalable processor augments the NF5280M5’s network and storage modules to achieve a critical performance improvement in distributed database, online transaction processing, data warehousing and other applications. At the OCP Global Summit, Inspur released the industry’s first high-density four-socket server reference design for cloud computing scenarios. The NF8260M5 “Crane Mountain” is a four-socket server reference design based on the 2nd Generation Intel Xeon Scalable processor. This design raises the highest number of cores possible in a single 2U platform to 112, and also delivers exponential increases to memory bandwidth and cost savings, providing a more computationally intensive and dense solution for the cloud computing IaaS platform. Inspur and Intel plan to open-source the product and relevant technical documentation to the OCP community as an OCP reference design that can be used by other server vendors. Jason Waxman, Intel corporate VP in the Data Center Group and GM of the Datacenter Solutions Group, introducing the NF8260M5 high-density cloud-optimized reference architecture at OCP Summit 2019. Read the piece at Intel’s newsroom. As one of the world’s leading AI infrastructure providers, Inspur is committed to promoting the application of AI in various industries and helping traditional enterprises and governments to enable the intelligent transformation of their business. 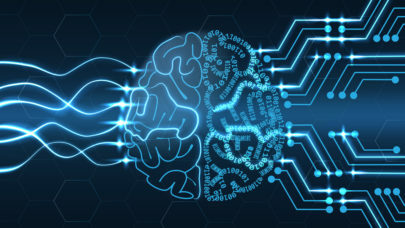 With the launch of the 2nd Generation Intel Xeon Scalable processor, more machine learning applications can directly adopt simple general-purpose computing solutions. This will greatly lower the threshold for machine learning applications and accelerate the industrial adoption of AI. Through developing holistic software and hardware integrated solutions, Inspur strives to convert innovative technology into maximum efficiency and performance for customer applications. Recently Inspur verified Intel Select Solutions for VMware vSAN for private cloud and Intel Select Solution for BigDL on Apache Spark for large enterprises. Both solutions have passed the Intel Selection Solution certification and will be upgraded with the 2nd Generation Intel Xeon Scalable processors in the coming months. In addition, Inspur will be introducing the Intel Select Solutions for Visual Cloud in the coming months.